Duiliu Zamfirescu (October 30, 1858 - June 3, 1922) was a Romanian Freemason, novelist, poet, short story writer, lawyer, nationalist politician, journalist, diplomat and memoirist. 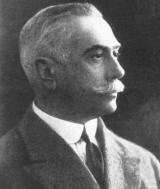 In 1909, he was elected a member of the Romanian Academy, and, for a while in 1920, he was Foreign Minister of Romania. Zamfirescu is best remembered for his Comanestenilor literary cycle, comprising his novels Viata la tara, Tanase Scatiu, In razboi, Indreptari and Anna. Born in Plainesti, Ramnicu Sarat County (present-day Dumbraveni, Vrancea County), he attended elementary school and gymnasium in Focsani, and later studied at the Matei Basarab High School in Bucharest (1873-1876), before entering the University of Bucharest's Faculty of Law. He graduated in 1880. Cezar Bolliac or Boliac, Boliak (March 23, 1813 - February 25, 1881) was a Wallachian and Romanian radical political figure, amateur archaeologist, journalist and Romantic poet. Born in Bucharest as the son of Anton Bogliako (Bogliacco or Bolliac), a Greek-Italian physician, and his wife Zinca Peret, who remarried the stolnic Petrache Peret; his adoptive father took care of Cezar's education. After being taught reading and writing at home, Bolliac studied at the Saint Sava Academy, under Ion Heliade Radulescu - Radulescu was to become one of his most important collaborators. Traian Vuia (August 17, 1872 - September 3, 1950) was a Romanian inventor and aviation pioneer who designed, built and flew an early aircraft. His first flight traveled about 12 m (40 feet) at Montesson, France on March 18, 1906. This was the first well-documented unassisted takeoff and landing on a level surface by an engine-driven monoplane with a wheeled undercarriage. Vuia was a Freemason. A French citizen since 1918, Vuia was associated with the French Resistance during World War II. He returned to Romania in 1950. Alexandru Vaida-Voevod or Vaida-Voievod (February 27, 1872-March 19, 1950), Freemason, was a Romanian politician who was a supporter and promoter of the union of Transylvania (before 1918 a part of Austria-Hungary) with the Romanian Old Kingdom; he later served three terms as a Prime Minister of Greater Romania. He was born to a Greek-Catholic family in the Transylvanian village of Bobalna (known at the time as Olpret). Initially, Voevod was supportive of a plan to federalize the domains of the Habsburgs along the lines of a United States of Greater Austria, and was close to Archduke Franz Ferdinand. Nicolae Titulescu (March 4, 1882, Craiova - March 17, 1941, Cannes) was a well-known Romanian diplomat, at various times government minister, finance and foreign minister, and for two terms President of the General Assembly of the League of Nations (1930-32). He was a member of the Freemasonry. 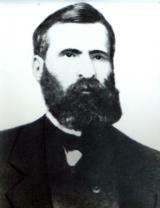 Nicolae Titulescu was born in Craiova to a solicitor. He passed through his childhood at his father's estate in Titulesti, Olt County. Upon graduating with honours in 1900 from the Carol I High School in Craiova, he studied law in Paris, obtaining his doctorate with the thesis Essai sur une théorie des droits éventuels. 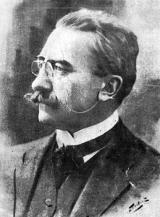 In 1905, Titulescu returned to Romania as a professor of law at the University of Iasi, and in 1907 he moved to Bucharest. 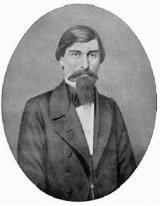 Christian Tell (1808-24 February 1884) was a Transylvanian-born Wallachian Romanian politician and Mason. Born in Brasov, Tell studied at Gheorghe Lazar's school, and then at the Saint Sava Academy in Bucharest, and became close to Ion Heliade Radulescu's version of Radicalism. He entered the Military forces of the Ottoman Empire and fought in the Russo-Turkish War of 1828-1829, earning the rank of Captain; in 1830, he entered service in the newly-founded Wallachian Army, and, as a nationalist and Freemason, began his participation in the subsersive secret society Fratia ("Brotherhood"). 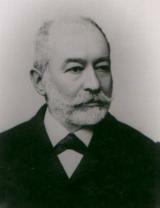 Dimitrie Sturdza, in full Dimitrie A. Sturdza-Miclausanu (1833-1914), was a Romanian Freemason, statesman of the late 19th century, and president of the Romanian Academy between 1882 and 1884. Born in Iasi, Moldavia, and educated there at the Academia Mihaileana, he continued his studies in Germany, took part in the political movements of the time, and was private secretary to Prince Alexander John Cuza. 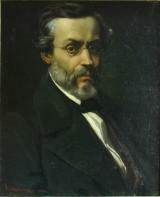 Sturdza afterwards turned against the increasingly unsanctioned rule of Cuza, and joined Ion Bratianu and others in the deposition of the Prince (1866), becoming a member of the Liberal government. Mihail Sadoveanu (occasionally referred to as Mihai Sadoveanu; November 5, 1880 - October 19, 1961) was a Romanian Freemason, novelist, short story writer, journalist and political figure, who twice served as acting republican head of state under the communist regime (1947-1948 and 1958). 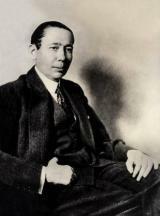 He was elected Grand Master in 1932. One of the most prolific Romanian-language writers, he is remembered mostly for his historical and adventure novels, as well as for his nature writing. An author whose career spanned five decades, Sadoveanu was an early associate of the traditionalist magazine Samanatorul, before becoming known as a Realist writer and an adherent to the Poporanist current represented by Viata Romaneasca journal. 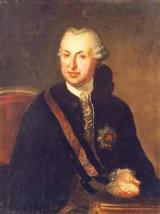 Alecu Russo (b. March 17, 1819 near Chisinau, Bessarabia, now in Moldova - d. 5 February 1859, Iasi), was a Moldavian Romanian Freemason, writer, literary critic and publicist. 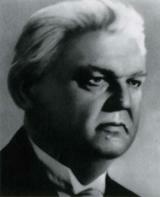 Russo is credited with having discovered one of the most elaborate forms of the Romanian national folk ballad Miorita. He was also a contributor to the Iasi periodical Zimbrul, in which he published one of his best-known works, Studie Moldovana ("Moldovan Studies"), in 1851-1852.